Are you or anyone you know overweight or handicapped? Do you need a scale specializing in obesity and special needs care? 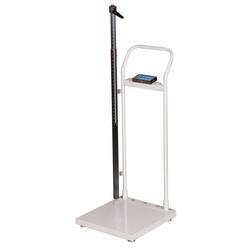 Then ScalesGalore offers the widest variety of heavy-duty and accurate Bariatric Scales. Our selection includes Medical Scales designed to weigh heavy patients with a body weight of 550 pounds or more. We carry almost every Handrail, Wheelchair and Overweight Scale available. more ..